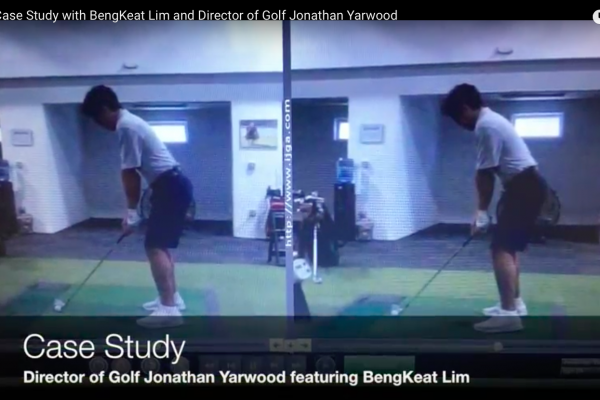 At the International Junior Golf Academy, we think it’s important to celebrate our students’ successes both on and off the course. 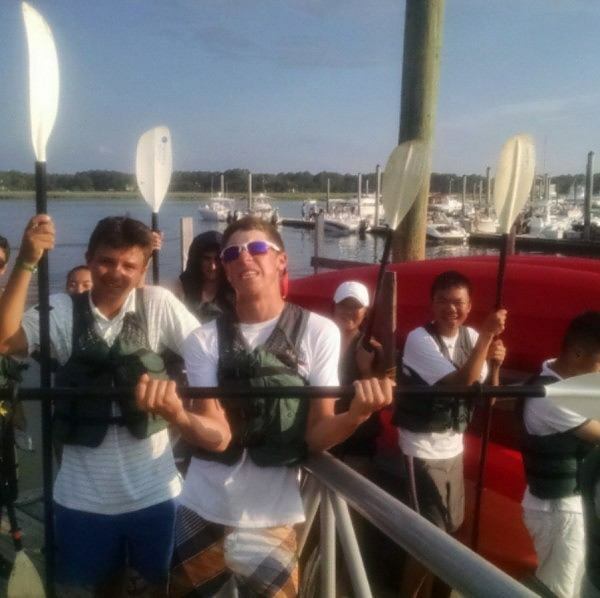 As all athletes know, not all victories come in the form of a first-place trophy. 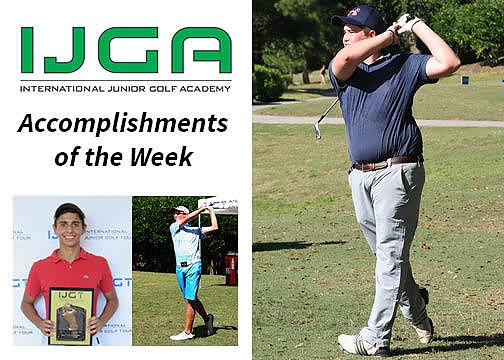 IJGA students did so amazingly well in tournament competition this past weekend that our inaugural Accomplishments of the Week happen to all be golf-related. But, as the year progresses, our weekly accomplishments update will extend beyond the golf course. Noah Levine used two birdies to card his best tournament round to date in the second round of the IJGT Southeast Kickoff at Crescent Pointe! He finished sixth in the Boys 14 & Under Division. Melany Chong posted a 1-under 70 in the final round of the IJGT Southeast Kickoff at Crescent Pointe, her best tournament round ever! 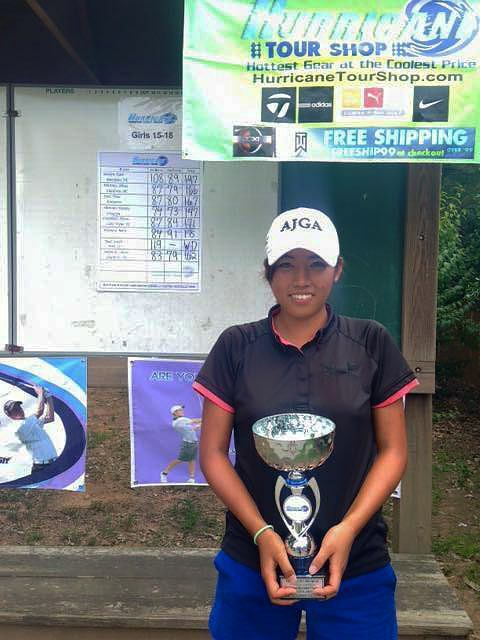 Chong’s seven birdies were matched only by fellow IJGA student Linda Trockel. Coming off a win in the HJGT Golden Bear Junior Challenge earlier this month, Colton Tanner finished the IJGT Southeast Kickoff at Crescent Pointe with a 2-under 140 tournament total to finish second in the Boys 15-19 Division. Lino Galdin fired a 6-under 65, his best tournament round ever, in the second round of the IJGT Southeast Kickoff at Crescent Pointe! He had a remarkable 13 birdies during the two-day, 36-hole event. Shiso Go posted matching 3-under 68s in both rounds of the Bobby Chapman Junior Invitational to finish the tournament at 6-under! In the first round he made three consecutive birdies on holes No. 3-5 and he carded an eagle on the par-5 17th hole in round two. As always, we invite students (and parents) to share successes with us by sending an email to kira.jones@hub.media/ijga!